First edition, stated as unabridged ("Ungekürzte Ausgabe"). Copyrights of individual shortfictions are assigned for the years 1954 & 1958 to Fantasy Press and Ace Books, Inc., respectively; there's no other copyright assignment. Month of publication from Science Fiction Times #130. P. 147 is the last numbered page, but the final piece ends on the following one. 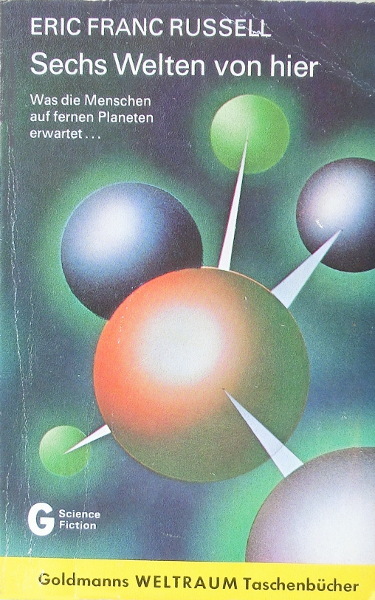 The cover artist is credited on the copyright page ("Umschlagentwurf von Eyke Volkmer"). The price is coded on the spine as a dice 'three'.